Climbing TV Show Coming To National Geographic Channel? We are currently polishing off the first two episodes. The first documents Chris Sharma’s latest 5.15 efforts in Spain and Clark Mountain, created in close collaboration with Big Up Productions. The second follows Renan Ozturk, Cedar Wright and Sean Leary on an epic trip to South America in honor of the great Roberta Nunes. We are going to be cranking all through the summer shooting and editing these and four other shows from Alaska to The Himalayas. 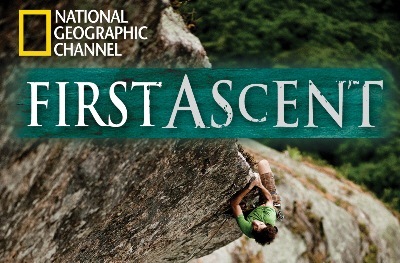 First Ascent will be airing on Nat Geo’s international channels later this year. Unfortunately, that last sentence holds a bit of bad news for hopeful viewers in the U.S. and Great Britain. First Ascent will only be broadcast on the international version of Nat Geo TV, NOT on the one we get here in the States (or Great Britain apparently). I was able to confirm with the guys at Sender Films that they are hoping to get it on a network in the U.S., but nothing has been confirmed at this point. I don’t know about you, but the thought of more climbing content coming into my TV in glorious High Definition gets me excited so if something changes I will be sure to provide an update. 6 Responses to Climbing TV Show Coming To National Geographic Channel? I wonder if we’re considered ‘international’ enough though? I did a bit of looking on some of the international sites as well and I wonder if it isn’t too early for the show to be on the sites. Maybe some time this summer there will be more? They better put this on some kind of U.S. network. Otherwise doesn’t National Geographic usually release their series on DVD? Probably, but it would be disappointing to not be able to watch it in a higher quality format. Narc — thanks for reporting on this. here’s some clarification: there will be a DVD release world-wide and a US/UK TV release, no details yet. Show is airing in Canada on Nat Geo. Airing in every country outside US/Uk/Scandinavia starting Jan 2010. Look for more info + promo starting this fall. We’ll let you know when other releases are public.